This could be a major problem if your shack is on the second floor or higher. Or if you have to run a long earth cable to a remote ground spike. All these types of installations may suffer grounding issues. 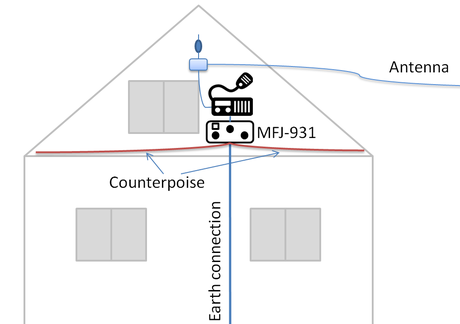 This page explains how to use the MFJ-931 ground tuner to help ground a shack that is more than a couple of meters from a ground point. 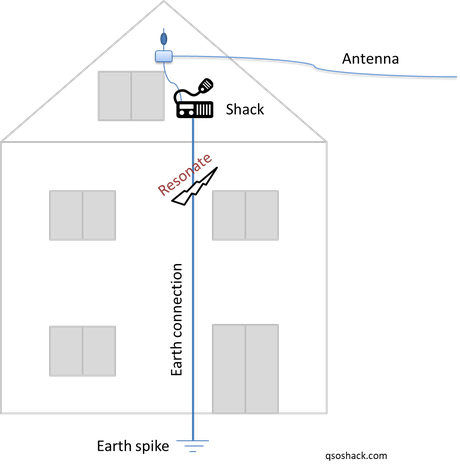 A ground tuner (artificial ground) is similar to an antenna tuner. Most designs consist of a variable inductance and capacitance in series. A meter to measure actual current flowing through your ground connection is often included. There are may 'homebrew' designs available on the internet to download, these would be simple to make should you want to do so. 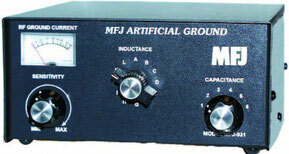 MFJ manufacture a ground tuner which can be used out of the box, this is what this page will focus on. The ground tuner sits in your shack between your earth and all shack ground connections. It's important that your shack earths don't bypass the ground tuner unit as this will prevent the ground tuner from working. Additionally, to the permanent earth connection, a number of counterpoise radials can be added to enhance performance. It's possible to work from a counterpoise alone without an earth connection at all. Multiple counterpoise radials are best, each one needs to be just less than (95%) of a 1/4 wavelength for your preferred operating frequencies. To clarify, these can all be connected at the same time to cover all of the bands you want to use. The ground tuner requires no power, but it should be located as close to your equipment as possible in an easily accessible location. Tip: Write down the settings for each band, this will make changing bands easier in the future! 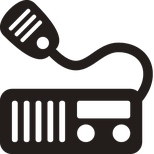 Once connected, you will need to transmit to tune the unit just like an antenna tuner. The unit will need to be tuned for each frequency you are using, changing band will require different settings to be selected. If a ground current can't be detected then try increasing the sensitivity on the unit and/or increase transmit power. The MFJ-931 appears to be an essential piece of kit for my third-floor shack. Well made and fun to use.